This reflects the increasing defence ties between the two nations, a highlight of the strategic dialogue. 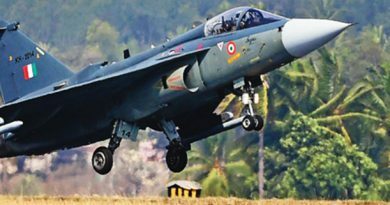 The efforts included the signing of a Communications Compatibility and Security Agreement (COMCASA) that will facilitate access to advanced military systems and enable India to utilise its existing US-origin platforms. There were also negotiations on an Industrial Security Annex (ISA) that will support closer defence industry cooperation and collaboration, and steps to increase personnel exchanges between the two militaries. This shows that India and the US are trying to put collective pressure on Pakistan to act against terrorist outfits on its soil. They also named Pakistan-based outfits such as Lashkar-e-Taiba, Jaish-e-Mohammad, Hizbul Mujahideen, the Haqqani Network and Tehrik-i-Taliban Pakistan in the joint statement. In the backdrop of China’s expanding footprint in the region, India and the US discussed their larger cooperation in the Indo-Pacific. With the reset in ties between India and China, the two stuck to general positions rather than any posturing. Their remarks reflect that they will work in concert with other partners toward advancing a free, open, and inclusive Indo-Pacific region, based on recognition of the centrality of the 10-member ASEAN (Association of South East Asian Countries). This is an oblique reference to the massive connectivity project the Chinese have undertaken under the ‘One Road One Belt’ initiative. India has reservations about the financing of huge infrastructure projects that lead countries into debt traps. So, along with the US it has emphasised the need to work collectively with other partner countries to support transparent, responsible and sustainable debt financing practices in infrastructure development. Despite US President Donald Trump’s cold approach, the strategic partnership between India and the United States is deepening. The civil nuclear agreement signed in October 2008 marked a new beginning. And both the 2016 Logistics Exchange Memorandum of Agreement and the 2018 Communication, Compatibility, Security Agreement have strengthened the relationship further. The US decision to rename the Pacific Command the Indo-Pacific Command also gave a symbolic nod to India’s centrality in the region. With this momentum, it is natural to assume that India sees the United States as a strong partner in the future, both militarily and strategically. But this should not be misconstrued as an endorsement of a US-led regional order. The US vision for the regional security order is based on anti-China tendencies, contradicting India’s vision for a regional order which is ‘inclusive’. Though China is viewed by India as an adversary in some respects, New Delhi sees Beijing equally as a partner in bilateral and global affairs. This view was championed by India’s Prime Minister Narendra Modi at the Shangri-La dialogue this year. Modi refused to subscribe to the notion that the ‘Indo-Pacific Region is a strategy or is a club of limited members. Including both China and Russia as regional partners indicates that India’s vision of a regional order does not have strategic consonance with that of the United States. When it comes to the crunch, New Delhi does not subscribe to Washington’s anti-China narrative. India’s absence from the US-led Indo-Pacific Business Forum in Washington in July was telling in this regard. This forum was convened along with Japan and Australia to encourage investment in infrastructure in the Indo-Pacific. The United States announced $US113 million for investment in areas such as digital connectivity, energy and infrastructure. This was meant to push the US ‘strategic partnership’ approach to the region in the hope of balancing China’s ‘strategic dependence’ approach that the Belt and Road Initiative, it’s said, offers to the world. New Delhi’s absence from the Washington forum was surprising. India is part of a low level quadrilateral consultative forum along with Australia, Japan and the United States that aims to deepen infrastructural development in the Indo-Pacific. And in May 2018, India joined the United States and Japan in another Indo-Pacific infrastructure development forum. Given India’s own objections to China’s Belt and Road Initiative, it seemed appropriate for India and ‘like-minded’ countries to come together. But India’s absence simply confirms its hesitance to accept US-led schemes to counter China. The US ‘free and open’ Indo-Pacific strategy is based on building ‘strategic partnerships’ that complement the US ‘strategic alliance’ strategy in Asia. Under Trump, America comes first. This approach contradicts India’s vision for the regional order in which India aims to maintain strategic autonomy by preserving its ‘strategic partnerships’ without complementing the ‘strategic alliance’ framework that the United States has plans to lead. For one thing, the US-led regional order does little to promote or endorse the interests of emerging powers. Most of the America’s regional planning is directed towards high-end capital investment and focused on containing China. India is bracketed as a ‘strategic partner’ in these endeavours. A very different approach is taken towards Japan and Australia. India finds itself the misfit in the group, considered a distinctly inferior economy even though New Delhi is comfortably associated with these countries in other networks and arrangements. The Indo-Pacific construct does have some overlap with New Delhi’s Asia vision. But India’s regional vision is closer to the idea that China promotes under an Asian-centric order — without the United States. During a recent speech at the Asian Infrastructure Investment Bank (AIIB) meeting in Mumbai, Modi stressed the importance of continued engagement with China and the AIIB under a ‘developmental partnership’ for sustainable infrastructure development in India and Asia. India seeks to nurture its regional partnership with China not discard it. Above all, India–China relations are on the mend post-Doklam. The Xiamen meeting between Modi and Chinese President Xi Jinping in 2017 signalled that both parties would aim to promote a ‘forwarding relationship’. And earlier this year, the Modi–Xi Wuhan summit put the ‘developmental partnership’ they came up with in 2014 back on track. Infrastructure cooperation is critical to this ‘developmental partnership’. To get the ball rolling, Modi has invited Chinese companies to invest and collaborate in India while creating conditions for sustainable foreign direct investment and skills development. His goal is to spur an export-led development model under the ‘Make in India’ campaign. From this perspective, India is cautious of being seen to support an anti-China conception of the Indo-Pacific. India does not want to lose the momentum that is gathering in its relationship with China. India’s vision of a regional order is not aligned closely with the US-led order. And certainly, improving its relationships with the United States doesn’t mean that India is willing to retreat from building its relationships with China as a vital regional partner.